Real Madrid reportedly spoke to Manchester United about their imminent plans to seal the transfer of goalkeeper Thibaut Courtois from Chelsea earlier this summer. According to the Manchester Evening News, Real spoke to United about signing Courtois before the deal was completed, as the two sides took each other on in a pre-season friendly in Miami. This follows lengthy links between De Gea and Madrid, with the club notably failing to sign the shot-stopper back in 2015 due to a fault with their fax machine and with paperwork thereby not being submitted on time, as noted in the MEN’s report. 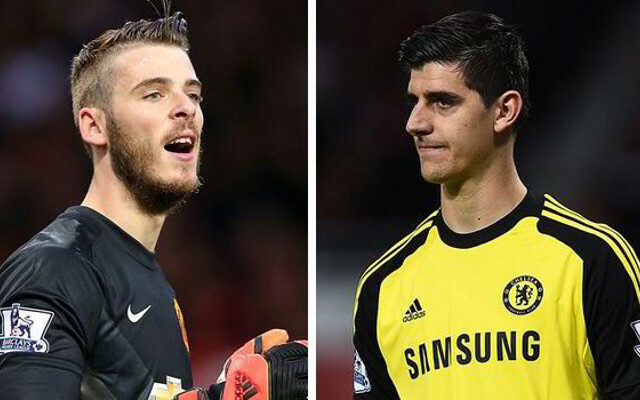 The report adds that United are now confident that with Courtois moving to the Bernabeu, they can tie down De Gea to a new contract at Old Trafford. Best goalkeeper in the Premier League? This would be a huge boost for the Red Devils, with De Gea arguably the best ‘keeper in world football right now. The 27-year-old has been at United since 2011 and just seems to get better and better all the time, playing a major role in helping the club finish as high as they did last season. Losing him to Madrid would have been a big blow, but with Courtois joining instead that surely ends Los Blancos’ hunt for a new signing in goal for some time.